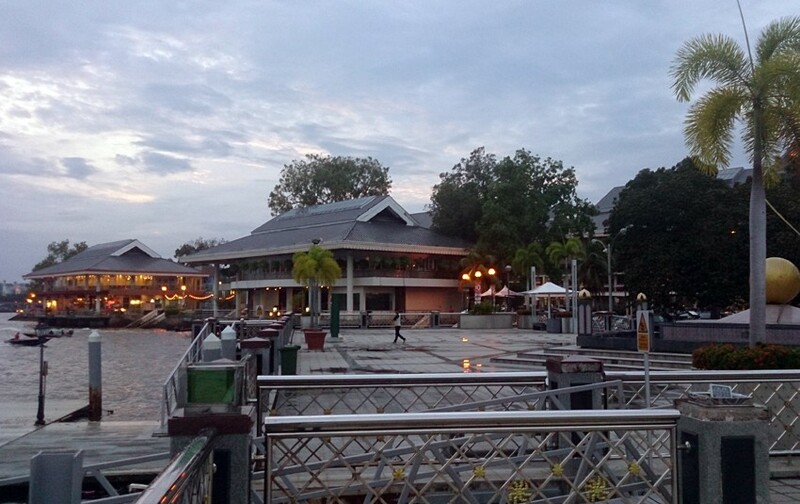 The sleepy mini-state of Brunei Darussalam squeezed within Sarawak in the north of Borneo Island is set to give its underdeveloped tourism industry a boost as officials got incited by the growing number of mainly Chinese tourists who have started to arrive in droves to spend and splurge in the Muslim nation. There has been a sharp jump in visitor arrivals from China after the launch of chartered flights to Brunei from Kunming and Nanning last year, which are additionally supported further on with new scheduled flights by Royal Brunei Airlines to and from Nanning since April 2018. According to data from the Ministry of Primary Resources and Tourism, Chinese arrivals through Brunei International Airport in Bandar Seri Begawan were 40,838 in 2016, while last year this figure increased to 52,391. Deputy Permanent Secretary for Tourism at the ministry, Wardi bin Haji Mohammad Ali, expects the number to grow further in the coming years due to the additional flights, as well as the increase in frequent travelers to Brunei for leisure or business reasons. Brunei was attractive for foreign tourists due to its “well-preserved nature, low crime rate, peacefulness, tranquility and clean environment,” Ali kept on saying, but also conceded that infrastructure and services for tourists have to be improved, for example by increasing the number of tour guides with foreign-language skills, namely Mandarin, and hospitality standards by and large. Travelers that have been to Brunei are typically lauding the tranquility of the nation, the peaceful, laid-back atmosphere and clean and safe environment, as well as sightseeing spots such as the impressive Sultan Omar Ali Saifuddin Mosque, a couple of interesting museums on local culture and heritage, water villages such as Kampong Ayer, the Jerudong amusement park in the north, the Gadong night food market in the capital, the beach town of Muara, the bamboo homes of Labi in the southwest, together with a number of national parks and forest reserves for eco-tourists. However, many use to complain that hotels and tourism services are not at the latest standards, while most staff is, nonetheless, friendly and striving to make the stay a pleasant one for visitors. One particularly annoying thing is the lack of transport options. Public busses often don’t follow predefined routes and stop all services at around 8pm, while taxis are very hard to find particularly at night and even during the day. Last but not least, there are no bars, nightlife venues or stores selling alcoholic drinks which are banned throughout the country. However, foreign visitors, as long as they are non-Muslims, are allowed to import two liters of alcohol (spirits or wine) and twelve cans of beer as long as they fill out some sort of alcohol permit that gets stamped at customs when entering the country. Interestingly, they are permitted to do so every 48 hours, so therefore – assuming a border run every two days to Malaysia – technically one could be inebriated in Brunei around the clock if he or she desires that. On another note, Indonesia has noticed that Brunei in its efforts diversify its economy away from oil is now transforming its small tourism industry is a strategic sector and takes that as an opportunity for economic cooperation between the two countries. The Indonesian government invited businessmen from Brunei to invest in the former’s planned “Ten New Bali” destinations which should give Indonesia’s tourism sector a boost and, at the same time, could include Brunei as an eleventh destination for curious tourists.